I am a wildflower because every day I dream about being free. I study the celebrities with all the financial wealth in the world, the people with naturally happy glows, and figure out how to apply their lessons to my life. 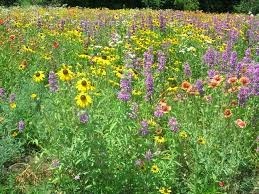 I am a wildflower because I act without thoroughly planning. Most of the time, the best experiences come from living in the moment. So if I'm hungry, I'll sit at a restaurant all by myself and enjoy the scenery while eating. If a concert I really want to go to pops up, I'll immediately buy that ticket before thinking about who else might want to go. If I wake up in the mood for fresh air, I'll go walking whenever and wherever my feet will take me. I've had cravings for chocolate and fresh air at 2 am and then walked to the nearest gas station not caring about possible dangers. I am a wildflower because I want to be free. Some people like the feeling of conformity. They like for others to make the rules, so all they can do is follow through. I'd rather makes the rules and the game up as I go. I love your carefree spirit, Wildflower.